Hence they are now going after the weak underbelly of the Russian Chinese Turkish Iranian Alliance and their One Belt One Road Economic Masterplan to Counter American Economic Hegemony. 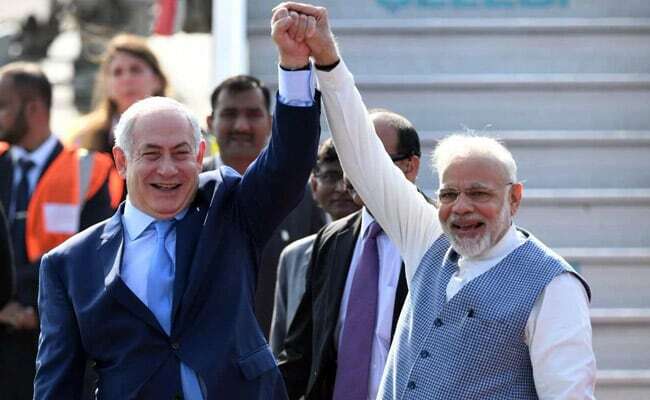 The current visit of Zionist Criminal Mastermind Benjamin “Bibi” Netanyahu [whose son was recently asking his political donors for money so he could buy the services of prostitutes] to India on a state visit means War with Pakistan and China and Iran are very close. Mother to be indicted for Fraud, Father being investigated for Corruption and now the Son looking for Hookers – what a Zionist Family. The Zionist Regime has found a New and Fresh Ally aka Victim in Zionist Hinduism. And Guess which Side the Americans are on. Yes America is siding with these Maggots hence the Coming War on China. Furthermore, the now we are reports from NewsBud and Sibel Edmonds that Gulen Network Operatives who Failed in their Coup against Erdogan in Turkey are now attempting through the backdoor to inflitrate their Operatives into China to launch False Flag Terror Attacks against Chinese Targets. Here is what Schools in Haiti as known as Baltimore look like where there is no Heating for Schools. What a Sh$#hole indeed.